Many sectors of the design industry are now demonstrating growing attention to sustainable production and manufacturing enterprises, designers, developers are proposing solutions using eco‐compatible or salvaged materials. While maintaining high levels of functionality and aesthetics, they promote a new ethic that is opposed to the throw‐away practices of consumerism. AP, the local host for the event, has invited architects, artists, design professionals, and persons who are concerned by the state of our built and natural environment and the over-exploitation of resources to participate in this event. The one day symposium and subsequent workshop is aimed at introducing people to a new culture, driven by a design-led revolution in the fields of architecture and design. Some of the world’s top architects and creative thinkers will share their vision for a new world order, and illustrate innovative approaches to the challenges of a world running out of limited resources. While acknowledging the global scale of the issue, Towards Frugality suggests ways to tackle sustainability at a local level with responses tailored to site specific contexts. 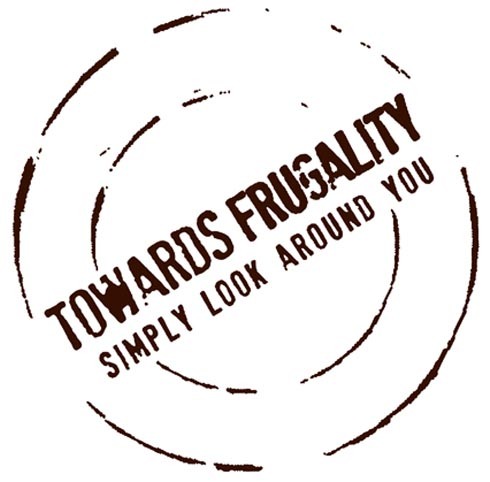 The notion of frugality touches on the intelligent use and re-use of available materials, giving new meaning to tired clichés of eco-compatibility and low consumption to create a cultural aesthetic that is responsible and ethical but also vibrant, enduring and desirable. Leading international protagonists, from Spain, the UK, Africa, Italy and the USA will illustrate their experience in the field. Anthropologist Franco Le Cecla from Palermo discusses the danger of iconic buildings, Sarah Wigglesworth from the UK relates on her experience constructing the prize-winning Straw-Bale residence and offices, and the architectural practice Lot-Ek from the USA use their Puma City as an example of how to re-use discarded materials. Together with other speakers they will reveal the capacity of creativity and design to empower and enliven our environmental responsibilities. The event is being organised by AP (Malta) and Abbate & Vigevano Architects (Italy ). It is part financed by the Malta Arts Fund and the American Embassy in Malta. The symposium will be held on the 2nd June 2011 at Temi Zammit Hall, the Mediterranean Conference Centre, Valletta. The event is sponsored by the Malta Arts Fund, Halmann Vella, The American Embassy, FXB Furniture, Auntie Lucy, Faces, and Multigas. Collaborators include The Association of American College and University Programs in Italy, Kamra Tal-Periti, Din L-Art Helwa, Valletta Local Council. An exhibition which showcased the results of the Towards Frugality Workshop 2011 was opened on Thursday the 14th July 2011. The Towards Frugality Workshop 2011 set participants the task of creating concepts for temporary emergency housing for the Hal Far Open Centre in Malta. Thirteen teams worked through an 8 hour workshop to produce schemes for new low-cost housing solutions for immigrants and refugees currently on the Islands. The exhibition, which ran for one week, displayed the results produced by each of the workshop participants. The exhibition was held at the Halmann Vella Showroom in Mosta Road, Lija and was sponsored by Halmann Vella Ltd.